1 items found for "Dutch"
Did you know this about... Dutch? 01Dutch closely resembles German in both syntax and spelling. It freely borrows words and technical terms from French (ambulance, bagage, conducteur, plafond) and especially English (computer, manager, airbag, weekend). 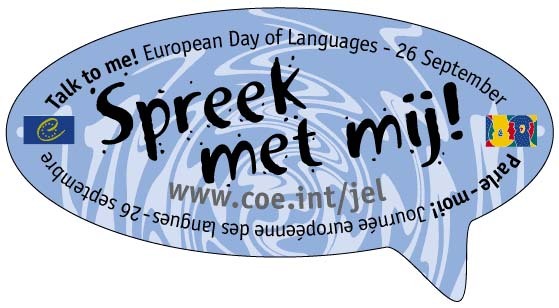 02Around 1% of English words are of Dutch origin: e.g. boss, coleslaw, cookie, dam, dock, easel, frolic, gas, landscape, luck, Santa Claus (from Sinterklaas), skates, snoop, splinter, spook, stove, waffle, walrus. 03Dutch people use many diminutives. It goes so far that some words can no longer be separated from their diminutive and some diminutives have even developed a separate - or totally different or second - meaning from their root word such as brood and broodje - a loaf of bread and a bread roll - or stuk and stukje - a beautiful woman and a piece of something. The diminutive can also have a dismissive, belittling connotation. 04In the Middle Ages the standardization of Modern Dutch started. A landmark event in Dutch language history occurred in 1637, when the first major translation of the Bible appeared in the Dutch language. Combining a number of varying dialects, but primarily utilizing the dialect spoken in Holland, this Dutch language Bible was able to be understood by almost all Dutch-speaking peoples. 05The Dutch like to join their consonants together, whereby one of the strengths of the Dutch language lies in the ability to string words into compounds. If the first element of the compound ends in a tricky cluster of consonants and the second element also starts with another cluster, you might get a word like slechtstschrijvend (‘worst writing’, with nine consecutive consonants, or angstschreeuw (‘scream of fear’), with eight consecutive consonants. 06In Germanic languages (e.g., Dutch, Swedish, German) one can freely compound words, whereas English would insert a space. Under the influence of English, this incorrect use of the space (called ‘the English disease’) is used more and more in Dutch, which sometimes leads to funny misunderstandings: ‘driejarige paarden’, means ‘three-year-old horses’, whereas ‘drie jarige paarden’ translates to ‘three horses celebrating their birthday’.